Staging is a fairly common practice these days. Remember the last time you walked through a furniture showroom? You probably noticed that the sofa, chairs, tables and other furnishings were arranged – or staged – to make them look more appealing. When preparing your home for sale, you should do much the same thing. Proper staging will make each room look its best. Studies prove this will help sell your home faster and for a better price. In fact, there are professional stagers who provide consulting and installation for home staging. 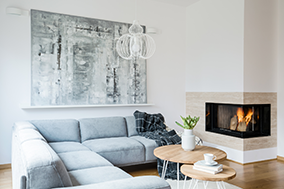 As your real estate agent, I will provide you with a staging professional who will share with you practical ideas to get your home prepared for sale.